Vaccine petitioners should be aware that any decision, or other ruling, filed in a vaccine case will be made available to the public unless either party files, within 14 days, an objection to the disclosure of any material in the decision “which is trade secret or commercial or financial information which is privileged and confidential” or “which are medical files and similar files the disclosure of which would constitute a clearly unwarranted invasion of privacy.” 42 U.S.C. § 300aa-12(d)(4)(B); see also Vaccine Rule 18(b). Public disclosure includes releasing each decision or ruling online by posting it on the court’s website. This means the decision, or ruling, will be available on the internet. If vaccine petitioners have concerns about such disclosure, guidance should be sought from counsel. 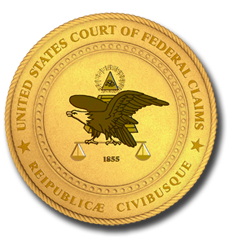 In all events, petitioner’s counsel should endeavor to ensure petitioner is aware of and understands the time-limited opportunity to seek redaction in accordance with 42 U.S.C. § 300aa-12(d)(4)(B) and Vaccine Rule 18(b).